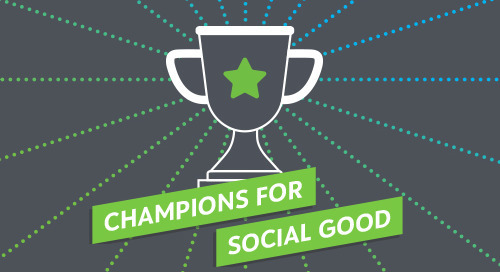 In this episode of the Champions for Social Good Podcast, Jamie Serino speaks with Julie Cole Mecum, Chief Operating Officer at the Community Foundation of Boone County (@CFBooneCo), about how the Foundation has been evolving to adapt to the changing needs of its donor base and constituents. Julie discusses the importance of collaborating with donors, non-profits and neighboring community foundations to tackle important issues, and how individuals and families increasingly want to be more closely involved with the programs they are supporting. Julie also addresses the importance of technology in administrative management, the rise of donor-advised funds at community foundations, and working to provide donors and the entire community with the ability to see the measurable results of their giving.